← Buy 2, Get 1 FREE Inspirational Disc Bracelets! Check out our Weekly Bonus Deals this week! These specials are in-stores only (except for the Endless Jewelry offer). Stop by and see us this coming week! These specials are good through Saturday, Sept. 26. See the Endless Jewelry offer online here. 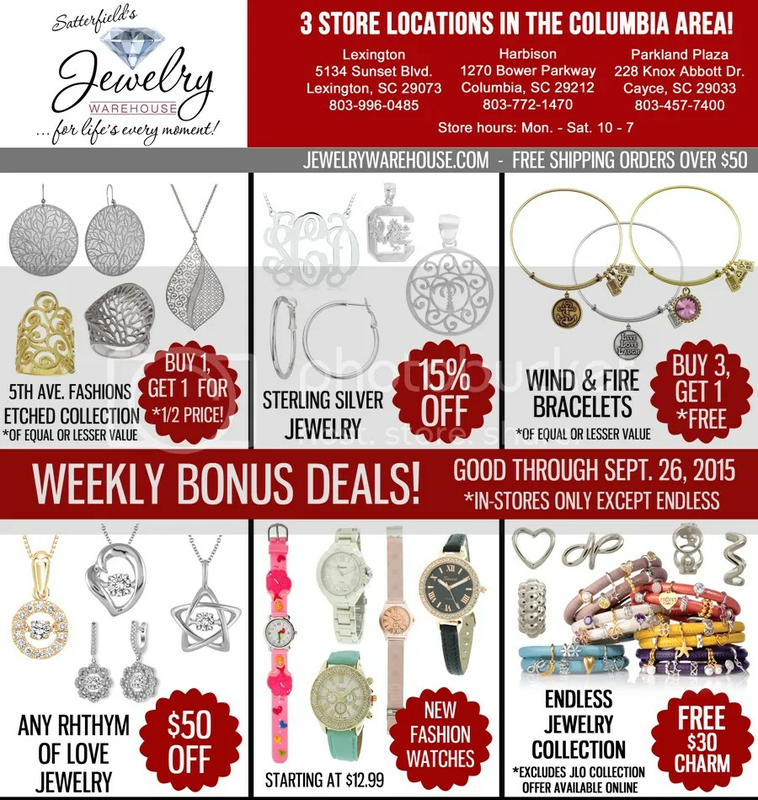 This entry was posted in Deal of the Week, Jewelry News, Jewelry Promotions, Sales and tagged columbia sc, Jewelry, jewelry in columbia sc, jewelry offers, jewelry sale, jewelry specials, jewelry warehouse. Bookmark the permalink.